The Ohio History Connection, formerly the Ohio Historical Society, was founded in 1885 to protect and preserve the unique earthworks, artifacts, and stories of Ohio. 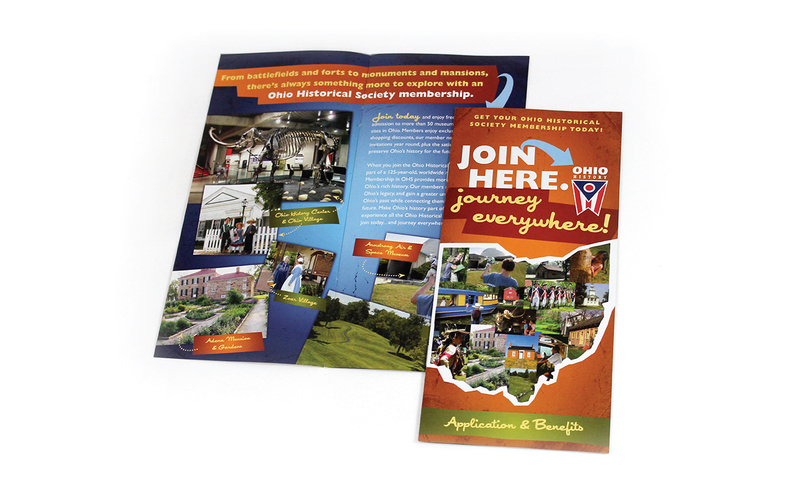 Our first assignment in 2008 was to create a strategic marketing plan and creative campaign for a traveling exhibition at its Columbus museum, which produced a 194% increase in attendance and helped the organization create new media and sponsorship opportunities. Our partnership included advertising, messaging, signage, broadcast and website development with a heavy emphasis on tourism and driving visitation to its 50+ historic sites and museums.